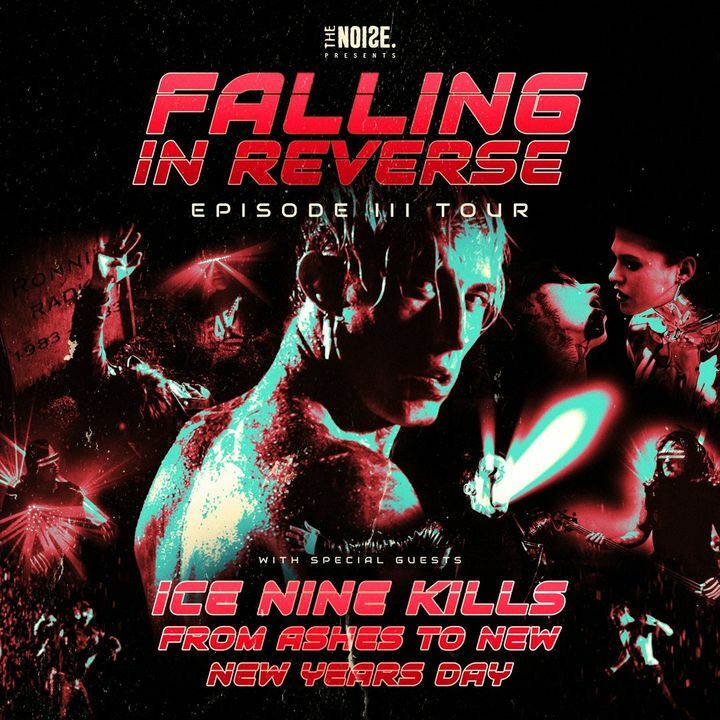 Announcing the Episode III Tour with special guests Ice Nine Kills, From Ashes to New, and New Years Day. Check fallinginreverse.com for dates. Tickets go on sale Friday 10am local time! VIP Pizza Party Meet & Greet San Antonio TX 2018 ... Free Pizza, T and autograph Poster, nice soundcheck, Great Acoustic Performance, Front of Stage, No Encore, The Show Was Short But Still Pretty Fun, No Q&A or Reading From The Book (As Promoted). Was Never Able To Get The Right Sound Quality They Wanted. it wouldn't let me put 5 stars, but it truly was 5 stars! i happened to get front row and it was so amazing. the crowd was super rowdy and energetic, there was so much crowd surfing and moving around. falling in reverse really knows how to get the crowd going. This was my third time seeing Falling in Reverse and I was honestly curious to see what kind of drama Ronnie was going to bring that would overshadow their performance. I WAS SPLENDIDLY SURPRISED at the solid set the band played. Ronnie was spot on with more energy, attitude, and humility that I’ve ever seen from him. He sounded fantastic, looked phenomenal, and his band backed him effortlessly. They’ve been the high points of the previous shows, carrying on professionally while Ronnie carried on. I’m really into the new album, and after last night’s performance, I’d gladly pay to see them again. It was so much fun, and my friend who is new to FIR really enjoyed hearing them as well. I’d love to see Ronnie someday onstage doing Broadway. He’s got so much charisma and showmanship. He’d follow nicely in the footsteps of Paul Stanley, Sebastian Bach and Constantine Maroulis. It won't let me rate 5/5 stars, but it was definitely a 5/5 show; last night was a perfect example of EXACTLY why Falling in Reverse won the APMA for Best Live Band this year. Each member had fantastic energy and Ronnie's stage presence was (like it always is) so exciting and rowdy and fun! I was especially impressed because Ronnie was sick, yet he continued the set with his usual enthusiasm. These guys are always such a joy to see live and their shows really are an experience. 5/5 from me. There is not enough stars omg. They did an amaizing job. It’s funny how when ever I am down they are always there for me. Their music their shows. Always. Thank you so much to falling in reverse for all these amaizing Experiences with them. I love you guys!! I love your team! Can’t wait for the next show!